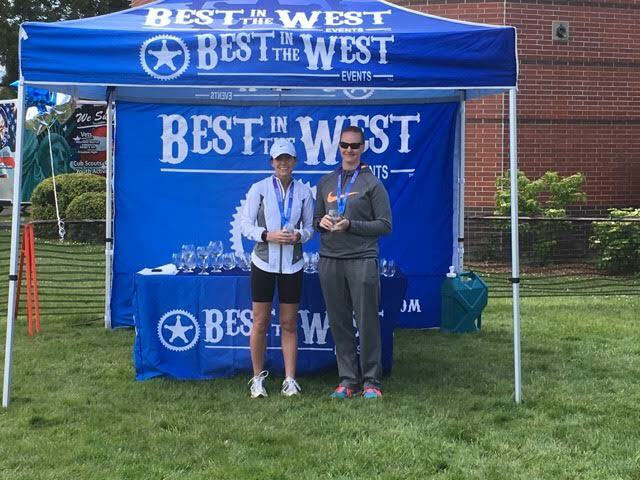 I was really excited to compete in the Heart of the Valley Triathlon in Corvallis. It’s a great event, and the weather this year, could not have been more beautiful. It was sunny and warm, perfect weather for an event. On race day, I showed up about an hour before, to pick up my packet. They were really organized, so packet pick-up was quick and painless. They offered several fabric and color options for race day shirts, which I love, and there was lots of parking at and around the Osborn Aquatic Center, where the triathlon began. The start time for the first event was 12:30 p.m., to allow for churches in the area to let out without disrupting traffic, too much. It was strange being able to sleep in on race day, but I liked that the late start allowed plenty of travel time to make it to Corvallis on the day of the event. One the way down I checked out, race director, Staci’s video for first time triathletes. Although this was not my first triathlon, I had never researched how to best stage my transition area. Her video was packed full of good information for first time triathletes. Start times ran every ten minutes from 12:30 until 1:20 p.m. By the time the triathlon began, it was a bit brisk, but still gorgeous outside. Staggering the events really helped with parking and traffic, and with the sunshine, everyone was in a festive mood. For the Sprint Triathlon, the competitors ranged in age from 13 to 77. It was really great to see such a wide age range represented. I didn’t wear anything to track my miles and times, since the course was pretty short with a 750 meter swim, 10.5 mile bike, and 3.1 mile run. I met a few triathletes who were competing for their very first time. 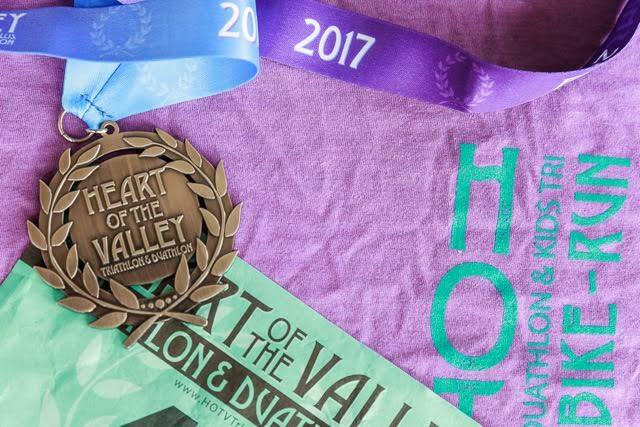 Heart of the Valley is a great course for first time Triathletes since the swim begins in the pool, the bike course is along country roads, and the run is a flat, fast two loops through the neighborhoods of Central Corvallis. I must note, driving in, the area looked mostly flat, so don’t let that fool you, there were some really good rollers on the bike course! The course included a bit of everything, some good hill work and plenty of flat sections, and with the beautiful weather, several people who lived in the community stood outside to cheer us on. There was a water station for the run, placed at the perfect location, so you could hit it three times during the run, once while coming in, once while starting the second loop and then again at the end. They offered water and Gatorade, which was perfect with the warmer weather. On the run, the miles were marked, which I appreciated since I had no idea what pace I was running or how much ground I had covered. The run was flat and quick to the finish line where they had pretty finisher medals with hombre ribbon. All the finishers were celebrating just to the left of the finish line. I grabbed some water and a mandarin from Orange Theory and checked out the scene. The Expo included Orange Theory Fitness, Heresco Chiropractic, and 2 Towns Cider House, to name a few. It wasn’t crazy or crowded, which was nice. I skipped the baked potato, vegan chili and cider since I really only wanted the orange and water, but I love that they offered healthy options. Overall, I was thrilled with my first event of the season. The weather was beautiful, and the course was scenic, quick and fun! The Heart of the Valley Triathlon is a great way to start the season and perfect for those who are new to Triathlons.